Maryland Area Guide - What makes Maryland so great? Where do Maryland locals go? A fashionable pub serving craft beers and food from breakfast through to dinner. Fantastic addition to the multitude of independent stores and restaurants in E20, an area that is fast becoming the snazziest place in East London. You won't regret dropping in for breakfast, brunch, lunch or dinner. Fresh pastries and amazing cakes, as well as great customer service. Best brunch and artisan bakery in East London. Freshly made bread, foccacia, brioche, cakes, pastries....as well as a custom celebration cake service and catering arm. The best oven-fired pizzas. My partner lives for the Iskender from the Turkish section of the menu. A family business, absolutely delicious Thai food and great prices. London Aquatics Centre is the most technologically advanced and stunning swimming facility in the world and part of the 2012 London Olympic legacy. Fantastic family orientated cafe serving unique stone baked pizzas, homemade cakes and featuring a basement playground with dedicated activities throughout the week for under 5's. Great place to take babies and toddlers. The perfect place to play outdoor games with kids or friends, have a romantic picnic or for a good cardio workout - amazing scenery of both nature and modern architecture. Share your favourite place to go to in Maryland. "Penny Brookes Street in Stratford is named after a nineteenth century doctor who was central in getting PE placed on schools' curriculum." 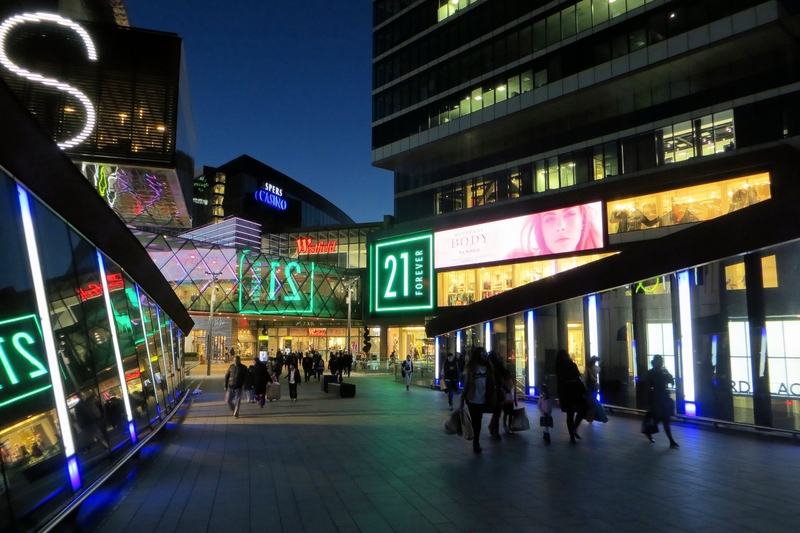 Stratford has become a shopping destination after the construction of the Westfield shopping centre. 'Robert' the steam engine was restored for the 2012 Olympics and has become a permanent fixture outside Stratford Station. The magic of Alice in Wonderland has arrived in Lincoln in the form of a new tea room in Lincoln. Expect to find the beloved characters from the novel painted on the walls with creative décor throughout and a range of food and drink based around the book! Do you live in Maryland, or have you lived in Maryland recently? If so, let us know what you like about living in Maryland. Feedback about living in Maryland has been submitted directly by the public and may not neccessarily reflect the views of Foxtons. The description of Maryland was modified from Wikipedia and is available under the Creative Commons licence. Land Registry data is Crown copyright. All the views and contributions contained within Foxtons Local Life are those of the contributors. All content is assessed before publishing for taste, however free opinion is encouraged. Foxtons accept no payment or sponsorship for content that is posted about Maryland.